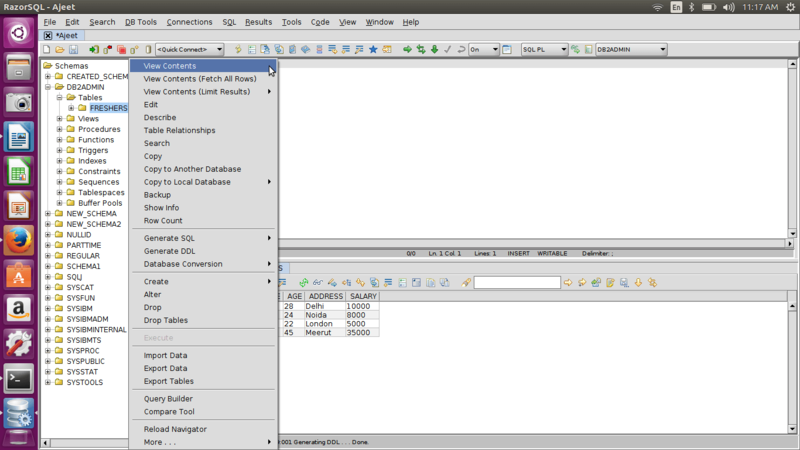 Open RazorSQL and click on the Tables folder. You will see all the created tables. Now click on any one table from the list.